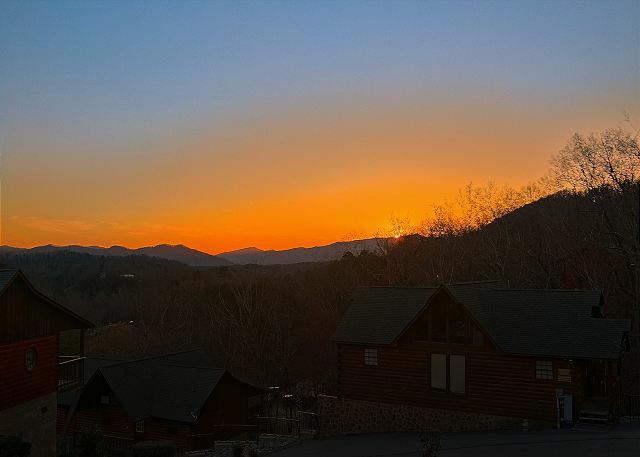 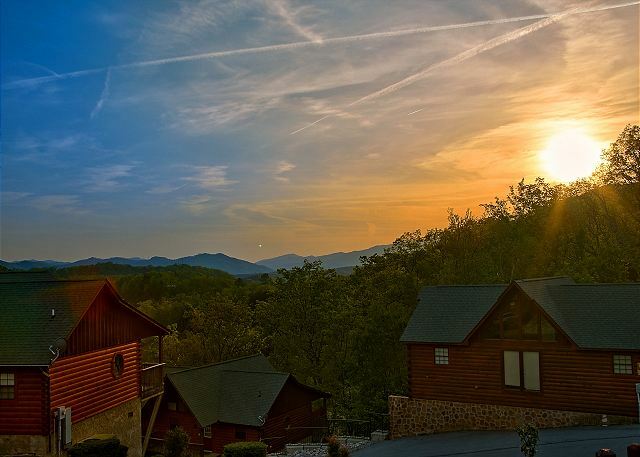 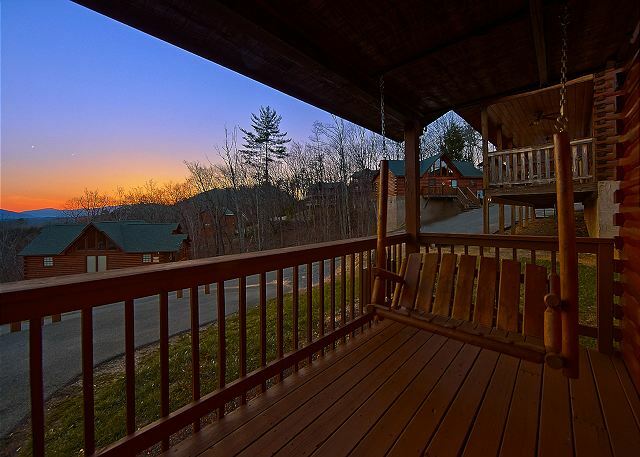 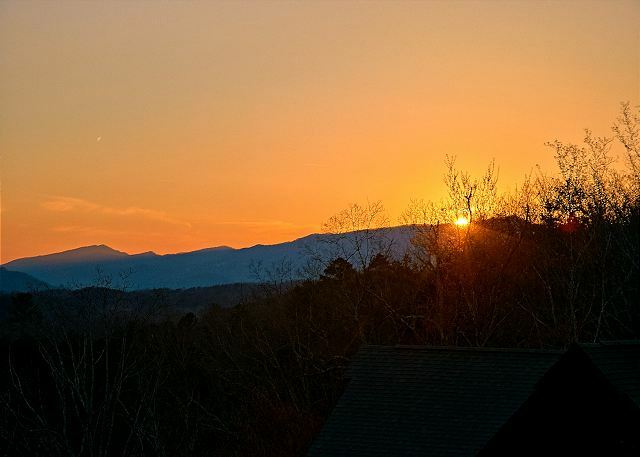 This luxury cabin rental has everything your family or group of friends could ever ask for in a Smoky Mountain Resort Cabin. 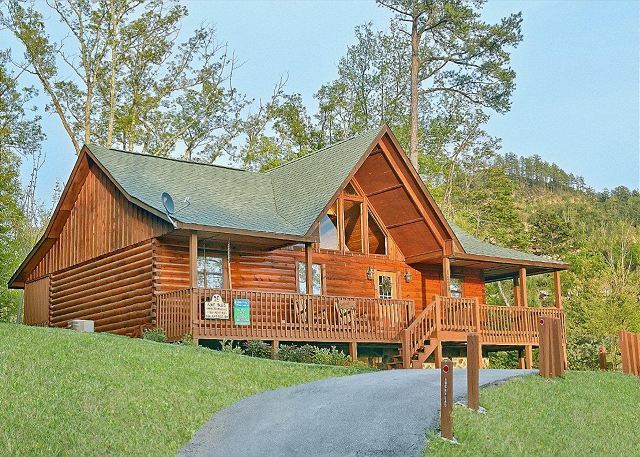 If you will be visiting Dollywood on your trip, this cabin has easy access to the #1 attraction in Tennessee. 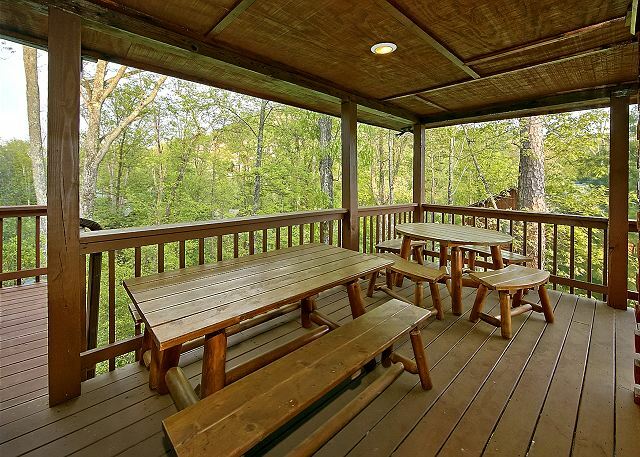 You are less than 1 mile from the Splash Country & Dollywood Parking Area. 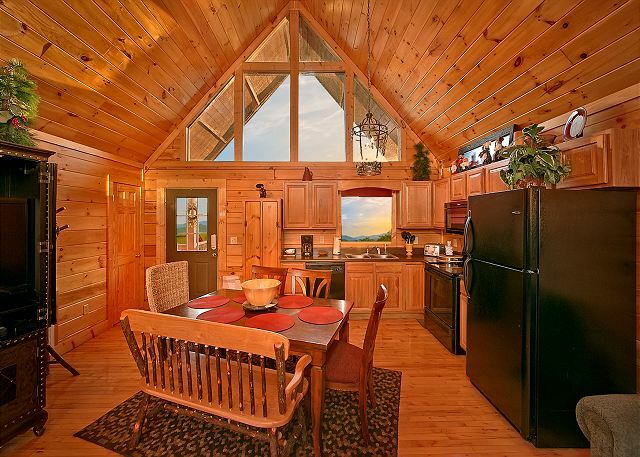 Did you know this log home has year-round access to an indoor heated pool? 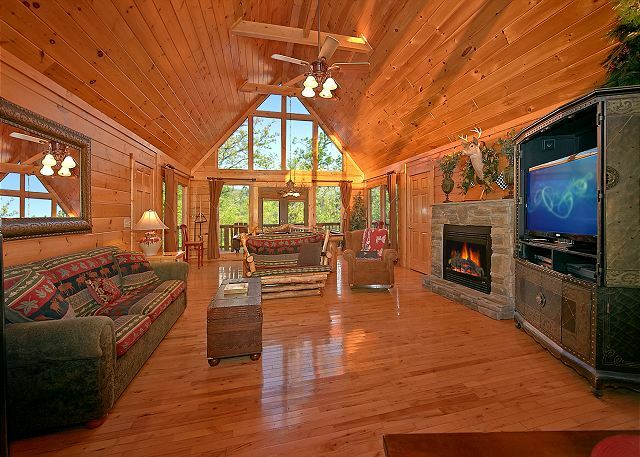 Enjoy all the comforts of home, but indulge yourself in luxury log cabin living at "Buckhead #259!" 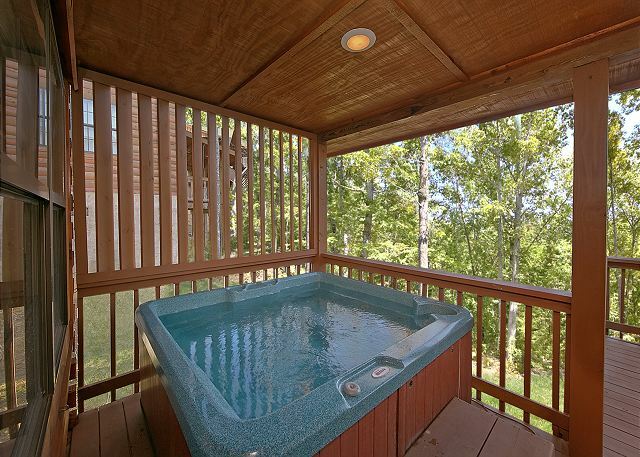 Shoot pool, enjoy Wifi Internet access, or soak in your premium hot tub during your amazing Pigeon Forge vacation here. 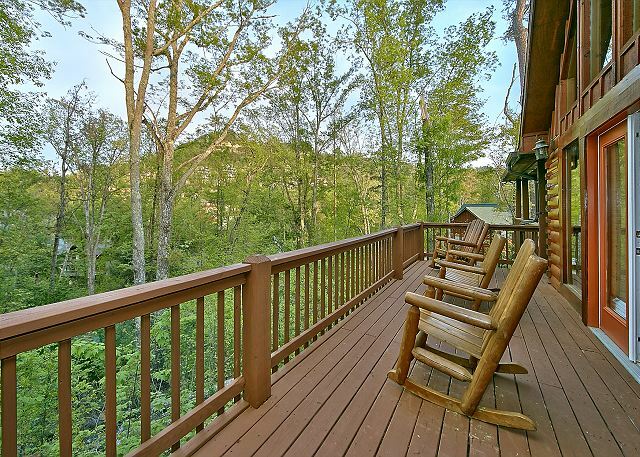 This log cabin has a wraparound porch with outdoor log furniture to enjoy the beautiful mountain views & wooded surroundings. 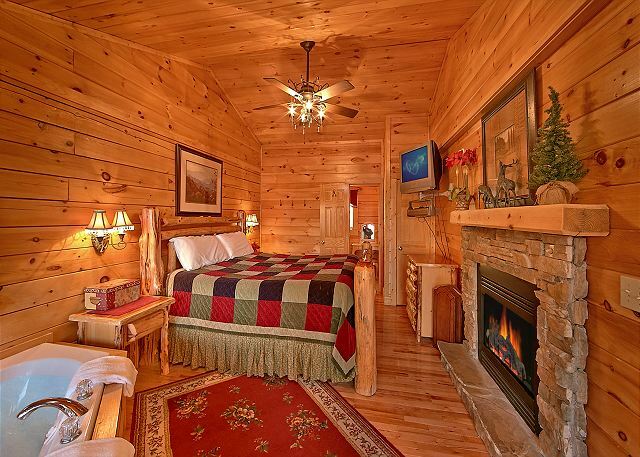 This log cabin was custom built with spacious King bedrooms on opposite sides of this vacation rental. 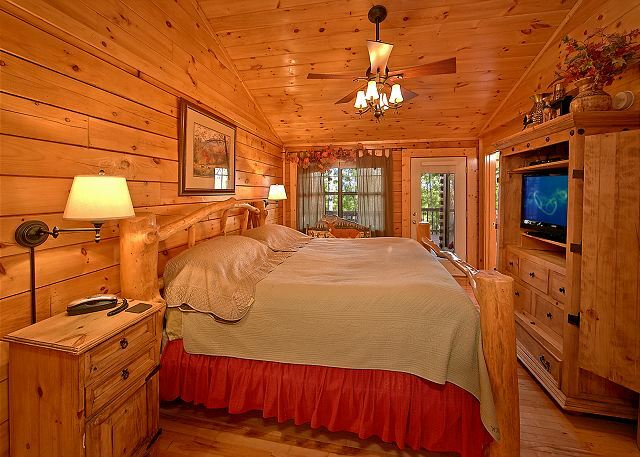 The bedrooms offer log framed beds with premium mattresses for your comfort. 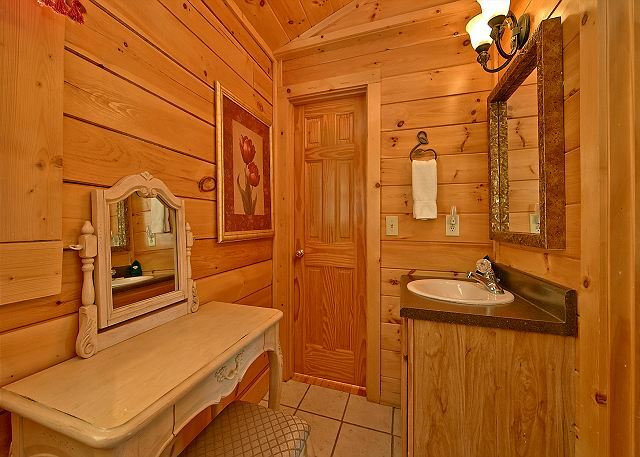 Book "Buckhead" today for the vacation of a lifetime. 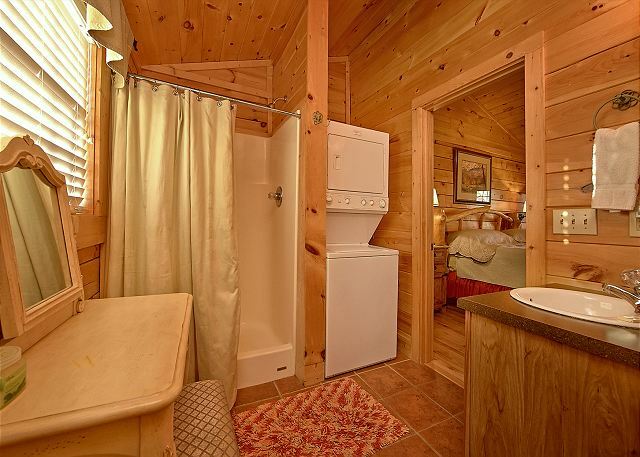 Description of *Buckhead Cabin: 1 Level, 2 Bedroom, 2 Bath, Sleeps 6, Hot Tub, Jacuzzi, Pool Table, Non-Smoking, 2 Gas Fireplaces, 2 King Size Beds, 1 Queen Size Sleeper Sofa, Luxury Bedding, Pet Friendly, 3 TVs, 2 DVDs, 2 VCRs, Free WIFI, Washer & Dryer, Motorcycle Friendly Parking, Wrap Around Deck *Rate is for 4 people. 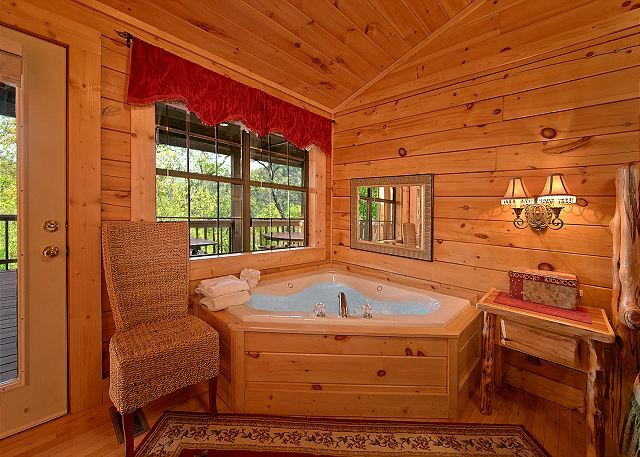 Each additional person is just $12.50. 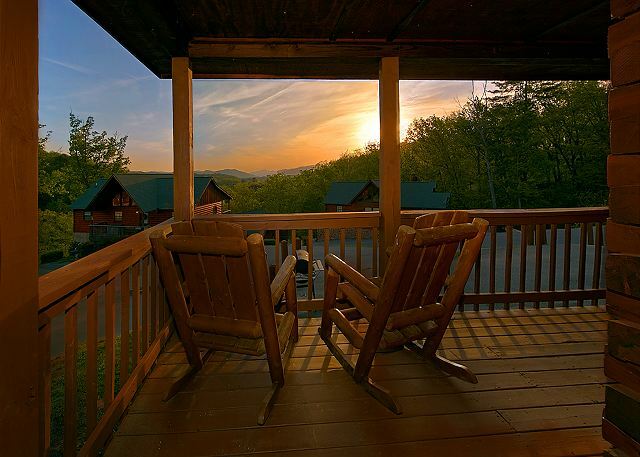 Register any pets at time of booking. 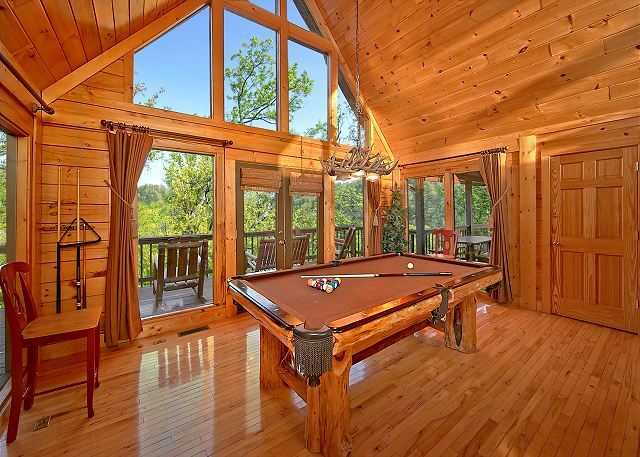 No smoking allowed here.